Below you can view all the condos for sale in the Millwood Plantation subdivision located in Rock Hill South Carolina. 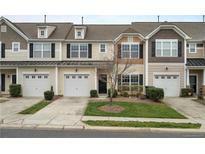 Listings in Millwood Plantation are updated daily from data we receive from the Charlotte multiple listing service. To learn more about any of these condos or to receive custom notifications when a new property is listed for sale in Millwood Plantation, give us a call at 704-325-4484. Grab a rocking chair on the wrap-around front porch or enjoy the fenced in back yard with friends on a pretty spring day. MLS#3490037. Allen Tate Rock Hill. Just around the corner from Millwood's outdoor amenities. MLS#3486905. Allen Tate Rock Hill. Neighborhood has a playground and splash pool. MLS#3475106. Homeland Realty Group, LLC. Buyer's agent to verify pertinent information. MLS#3428471. Keller Williams Fort Mill.